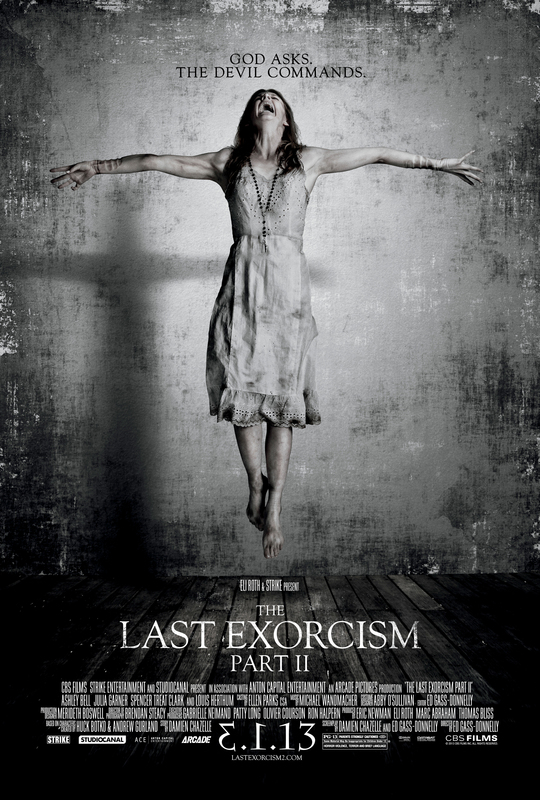 Meet The Paranormal Task Force Before ‘The Last Exorcism: Part II’ Opening in St. Louis Tomorrow! On Friday, March 1 the Paranormal Task Force will be holding a special event in honor of The Last Exorcism: Part II opening in St. Louis. They will be joined by paranormal expert Steven LaChance at Wehrenberg Ronnie’s 20 Cine from 7 – 10:30pm, showing off their equipment and answering questions about the paranormal – including possessions and exorcisms. Continuing where the first film left off, Nell Sweetzer (Ashley Bell) is found terrified and alone in rural Louisiana. Back in the relative safety of New Orleans, Nell realizes that she can’t remember entire portions of the previous months—only that she is the last surviving member of her family. Just as Nell begins the difficult process of starting a new life, the evil force that once possessed her is back with other, unimaginably horrific plans that mean her last exorcism was just the beginning. Paranormal Task Force has been featured in Spooked Television’s (Booth Brothers) documentaries “Children of the Grave” (aired on SyFy and Chiller), “The Haunted Boy: the Secret Diary of the Exorcist” and “Children of the Grave 2” (both released on DVD). They were also featured in Paranormal TV’s miniseries “Haunt U” via Comcast on Demand, “Fact or Faked: Paranormal Files” segment “Truck Stop Terror” which aired on SyFy and also filmed for an episode of the History Channel’s series “Sold” plus various books, newspapers, radio shows, news segments and more. More information on them can be found at: paranormaltaskforce.com.